Call us today to schedule your same day emergency appointment. Are you searching for a new dentist in downtown Vancouver or Coquitlam ? If so, Dr. Reza Rahgozar and our team members would like to welcome you to Ace Dental Centers. Our goal is to provide affordable, high-quality dental services as well as great customer care. Whether you require an emergency dentist in Vancouver or dental emergency in Coquitlam, or it’s time for a regular dental exam, our team provides the dental services you need. Our patient-centered dental practice administers most dental services under one roof, including dental implants and routine dental exams and cleanings, and treatment for gum disease or misaligned teeth. We also perform oral surgery in Downtown Vancouver and Coquitlam including extractions. 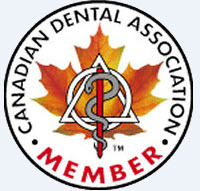 Ace dental was founded by Dr. Rahgozar in year 2000 having the goal of providing affordable high-quality dental services in Downtown Vancouver, Vancouver and Coquitlam all under one roof, by keeping patient's convenience in mind and having a patient-centered policy in place. As an experience dental practice, we would like to welcome you to this high quality, reliable and gratifying experience. Dr. Reza Rahgozar and his dental team are fully committed to deliver a personalized and exceptional dental care that you or your loved one may need. To do so, at Ace Dental Centers we have the confidence of providing almost all the dental services under one roof to eliminate patient unnecessary referrals. We commit ourselves in delivery of all the necessary information to our patients that empowers them to make an informed decisions about their optimum oral health and their treatment options. Our Vancouver dentist will always take the time to explain your treatment options, and we also provide a host of dental videos explaining various procedures. We invite you to check our dental videos page that contains educational videos about some of the several treatments we offer. We also recommend to take a look at the photo gallery page of our actual patients. This website is dedicated to everyone who need to learn about dental conditions, oral diseases, treatments, and recommendations, payments & insurance and much more. We invite you to browse through our website and encourage you to call one of our three convenient locations. Our friendly staff members are always available to answer your questions about your oral health, payment and dental insurance. We encourage you to browse our website and call any of our convenient locations to schedule an appointment. Call us: for any enquirers from scheduling a regular appointment or dental emergency in Vancouver , to emergency dentist in Coquitlam for same day appointment in one of our three convenient locations. Vancouver Dentist Dr. Reza Rahgozar of Ace Dental Centre provides general, cosmetic and restorative dental services that include: Invisalign Clear Braces, Teeth Whitening, Dental Implants, Crowns, Veneers, Emergency Dentistry, Cleanings and Exams, Root Canal Therapy, Periodontal Treatments & Dentures. Accepting new patients in our three covenient dental offices in Vancouver, Downtown Vancouver and Coquitlam.